As a resident of the US and in possession of a Shield Tablet LTE, you can look forward to something exciting and that is receiving the Lollipop update. Yes, Google has decided to go ahead with this update to these devices after it has already delivered this Lollipop update to its Wi-Fi variant. The roll out would be in phases and some may have to wait a bit longer than the others. It will be an OTA exercise and once the update is done, you will get the notification. So keep your eye glued to your notification panel to follow the instructions given on the screen to enjoy the Lollipop. You may also check for it manually and that can be done by going to Settings>About Device>System Updates>Check Now. Just make sure you are connected to the internet or better still a Wi-Fi one so that you do not lose out on data charges. The update file is 800MB and therefore can cost you quite a bit. The attraction of the Android Lollipop stems from its ART interface, which is a new one being introduced by Google. The compelling animations, 3D effects, revamped notifications along with the Material Design and better battery usage all combine to make this OS the very best. NVIDIA thus becomes the very first tablet manufacturer of Android to get updated to the Android Lollipop since the announcement was made by Google only in November. Within 2 weeks, the Wi-Fi devices had received the update and now the LTE ones would also get it. Once the rollout for the Wi-Fi devices came, NVIDIA had to wait for carrier approval and that is why there was a delay for the LTE models. The carriers need to approve each update when it comes to LTE tablets and that is a bit of a drawback. In this case, the delay was for a week and now all NVIDIA devices running on Android can now enjoy the Lollipop advantage. 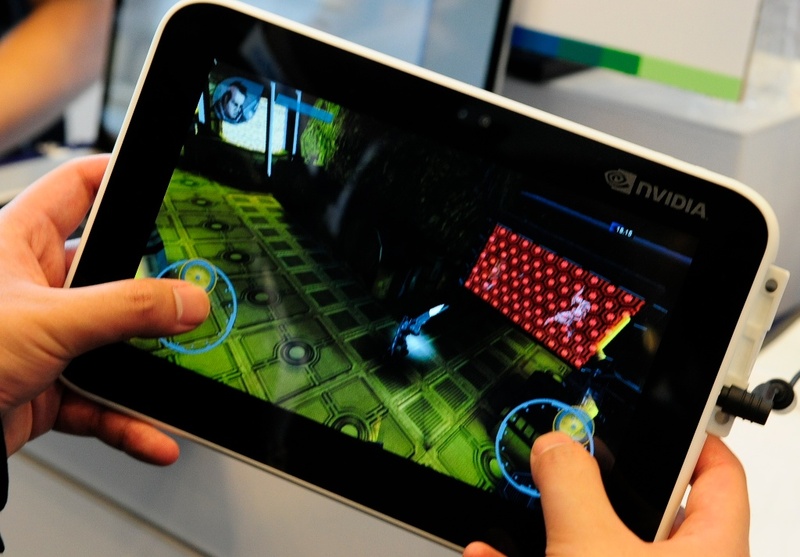 The NVIDIA tablets come with an 8 inch display and the powerful Tegra K1 processor with HD. The stereo speakers make gaming a pleasure and many have bought it to enjoy the many games that are now available for entertainment on mobile devices. By rolling out the Lollipop, NVIDIA has lived up to its reputation of pushing Android updates the fastest. This update is sweeter because it also comes with the latest Dabbler drawing application and more games that have been optimized specifically for the SHIELD. This tablet was different from the others in the sense it carried stock Android at its purest and that probably also made it easier for it to implement the Lollipop update. Users are thus able to enjoy undiluted and totally bloat free Android. Users of other devices would now be hoping that the Lollipop update is implemented on their gadgets too without further delays and they too are able to experience Lollipop without any of its bugs or issues.